Dragon Ball Super Episode 82, 25 February 2017: Will Goku save the Dragon Ball Multiverse or will he choose to win the battle? 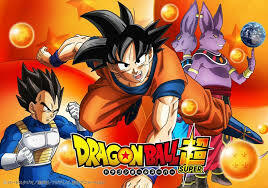 Dragon Ball Super Episode 82 | Showbox | Dragon Ball Super is a Japanese anime television series produced by Toei Animation that began airing on July 5, 2015. “Dragon Ball Super” episode 82 title has been revealed. The episode 82 is “The Righteous Warrior Toppo Bursts In”. Episode 82 is set to air on 19 March 2017, Sunday. The episodes of Dragon Ball Super broadcast on Sundays at 9:00 a.m. on Fuji TV. The episode 82 is said to be the first episode where the great fighter Toppu will make a very amazing and good fight scene. He will soon become the God of Destruction. The title name suits the episode very well where Toppu, the great warrior of all time will involve in a great fight and will make fighting debut. The fight will be most awesome in this episode. Although it has not been confirmed yet as with whom Toppu will be fighting. According to the promo videos he will be seen fighting hard with alpha wolf. The fight will be great and it is going to be a fun watching this episode. The episode will show a number of fighters from a dozen of universe. Dragon Ball Super is going to be more exciting in the coming episodes. However, the show will not air on March 12 and is said to take some break. The reason for the break is not out. But the show will go full throttle on the plot of the Universe Survival Arc. It is revealed that in the coming episodes there will be three exciting battles in which the losing Universe will get destroyed by the Omni-King. The fans of “Dragon Ball Super” will get to see Goku’s battle with Bergamo. Goku need to decide if he will need to do his best to win or will he need to sacrifice to lose so that he can save the entire Dragon Ball multiverse? In the coming episode 82 Toppo will be seen creating the create destructions in the Universe Survival Arc. The episode is said to revolve mostly around Toppo only. Goku will need to take some important decisions in this episode. He need to decide whether he wanted to win the battle or he should save the entire Dragon ball. It is guessed that if Bergamo will win against Goku, then Omni-King will take back his plan to destroy the losing universes. But we all know that Goku hates losing. Previous articleArrow season 5 episode 15: Fighting Fire with Fire, episode will air on Wednesday, March 1 at 9 p.m.